Who hasn’t wanted to own their own copy of a genuine, mysterious occult tome? 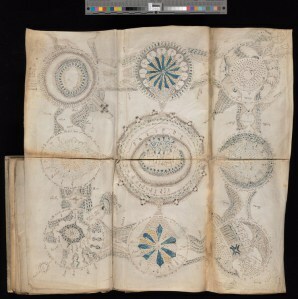 I’ve previously posted here and here about the mostly still unknown Voynich Manuscript housed at Yale that’s been puzzling scholars and occultists for a long time. It’s clearly a beautiful physical artifact as much as it is a source of knowledge. 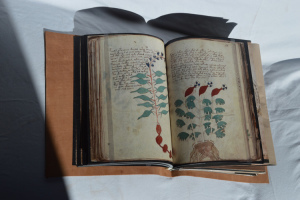 Ambush Printing is a publishing house that specializes in hand-made reproductions of historical documents and they have decided to produce copies of the Voynich Manuscript for purchase. They have a complete copy of the Manuscript available for $200, printed on vellum and bound in leather, just like the original, as well as an 18″ by 24″ print of one of the illustrations also on vellum that is normally $25 but appears to be on sale for $10 currently. Check them out here . ~ by Otto on May 6, 2014.